Part #: CU2994. Warranty Type: Manufacturer Warranty. WARRANTYWarranty Duration: Other. No local pickup option available. Part #: CU2993. Warranty Type: Manufacturer Warranty. WARRANTYWarranty Duration: Other. No local pickup option available. Part Number: CU2809. Warranty Duration:1 Year. Our administrative offices are located in Union, New Jersey and distribution facilities are located throughout the US. The item specifics section also contains important details. Part #: CU2994. We feel our pricing is rock bottom and our products are of excellent quality. Also, don't hesitate to call if you need a quicker answer! Key Search Words - 2000 : radiator, engine cooling, rad, car radiator, auto radiator, radiator cap. Application Summary - 2000 : 07-05 Toyota Sequoia. This part generally fits Toyota vehicles and includes models such as Sequoia with the trims of Limited Sport Utility 4-Door, SR5 Sport Utility 4-Door. 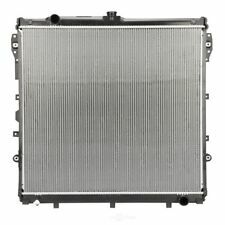 5 out of 5 stars - Radiator fits 2005-2007 Toyota Sequoia SPECTRA PREMIUM IND, INC.
1 product rating1 product ratings - Radiator fits 2005-2007 Toyota Sequoia SPECTRA PREMIUM IND, INC.
Part Number: CU2994. Warranty Duration:1 Year. Our administrative offices are located in Union, New Jersey and distribution facilities are located throughout the US. The item specifics section also contains important details. Part Number: CU2376. MFG Model # (Series) : CU2376. Key Search Words - 2000 : radiator, engine cooling, rad, car radiator, auto radiator, radiator cap. 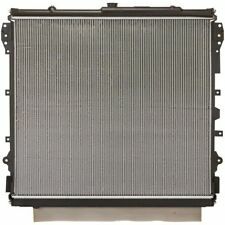 Radiator Core Material : Aluminum. Radiator Style : Downflow. Part Number: CU2376. 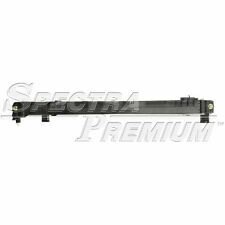 We do everything in our power to ensure that you get the high-quality part you asked for quickly and conveniently. Vaca Valley Auto Parts is family owned, and operated since 1974. Part #: CU2376. Warranty Type: Manufacturer Warranty. WARRANTYWarranty Duration: Other. No local pickup option available. Part Number: CU2993. Warranty Duration:1 Year. Our administrative offices are located in Union, New Jersey and distribution facilities are located throughout the US. The item specifics section also contains important details. Part Number: CU2993. MFG Model # (Series) : CU2993. Key Search Words - 2000 : radiator, engine cooling, rad, car radiator, auto radiator, radiator cap. 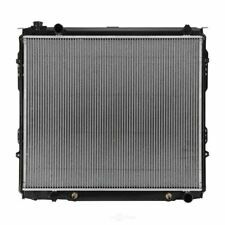 Radiator Core Material : Aluminum. Radiator Style : Downflow. Part Number: CU2994. MFG Model # (Series) : CU2994. Interchange Part Number : 164000S030, 3376, 2994, 8012994, 2693, CU2994. Key Search Words - 2000 : radiator, engine cooling, rad, car radiator, auto radiator, radiator cap. Part #: CU2376. You need to MOUSE OVER the left column to read the complete text. Part #: CU2809. You need to MOUSE OVER the left column to read the complete text. Part #: CU2994. You need to MOUSE OVER the left column to read the complete text. Part Number: CU2809. MFG Model # (Series) : CU2809. Key Search Words - 2000 : radiator, engine cooling, rad, car radiator, auto radiator, radiator cap. Application Summary - 2000 : 07-05 Toyota Sequoia. Part #: CU2992. You need to MOUSE OVER the left column to read the complete text. Part #: CU2994. We're working to build a state-of-the-art, online auto repair resource complete with the parts, people and information you need to stay in motion. If we don't have the answer, we'll find it and get right back to. Part #: CU2809. Warranty Type: Manufacturer Warranty. WARRANTYWarranty Duration: Other. No local pickup option available.